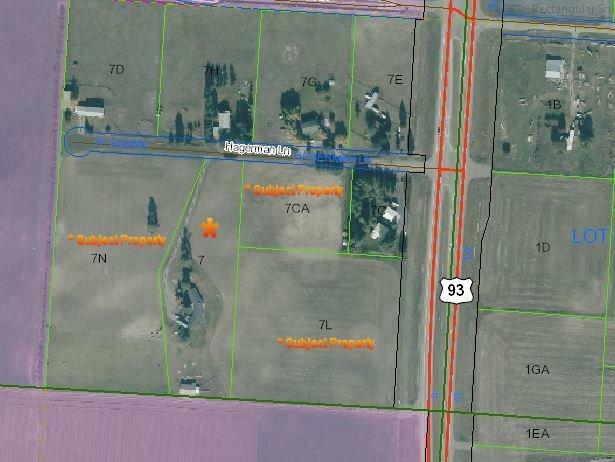 20 Acres of land with 385 ft of Highway 93 frontage. 4 parcels being sold together. 360 degree views with the Golf Course to the south. Alfalfa pastures. Well and septic on one of the parcels. Great potential. For more information call or text Tom and/or Karen 406-212-2500 or your real estate professional.